This year marks the 30th anniversary of the Hong Kong University Museum Society and to coincide they hosted a gala dinner, entitled Pearls of Friendship, at Hong Kong University’s historic Loke Yew Hall. 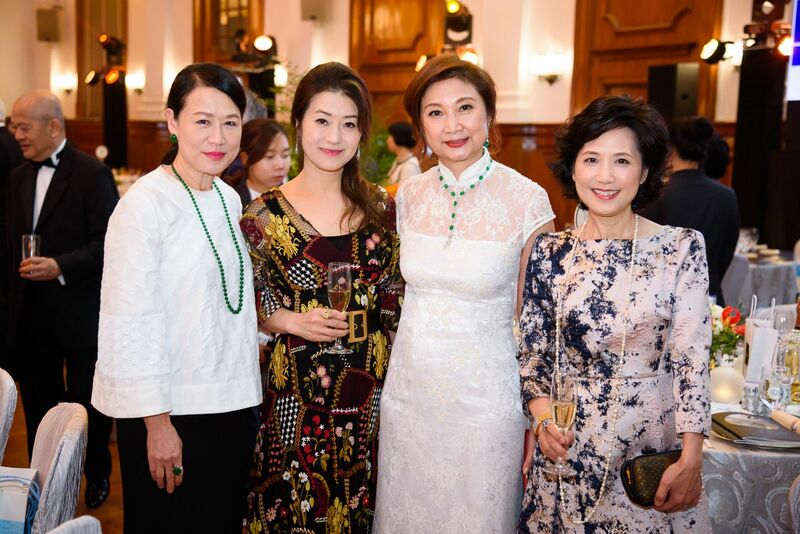 Friends of organising co-chair Catherine Kwai and Yvonne Choi, including Denise Lo and Michelle and Christopher Chan, were among the guests showing their support as the CEO of Sotheby’s Asia, Kevin Ching, hosted the evening's auction. Amateur opera singer Rachel Hui was a highlight of the night, as well as musicians Contrast Trio. Almost HK$4 million was raised, with funds going towards the 30th Anniversary Endowment Fund in support of The University of Hong Kong Museum and Art Gallery. Linda Lau Devoted Buddhist; trustee of the Thomas & Linda Lau Family Foundation with her husband. Michelle Ma Co-founder and executive director of Fancl House; co-founder and managing director of Gourmet Dining Group. Christopher Chan Christopher is the managing director of FANCL and married to Michelle Ma with one daughter, Cheryl.